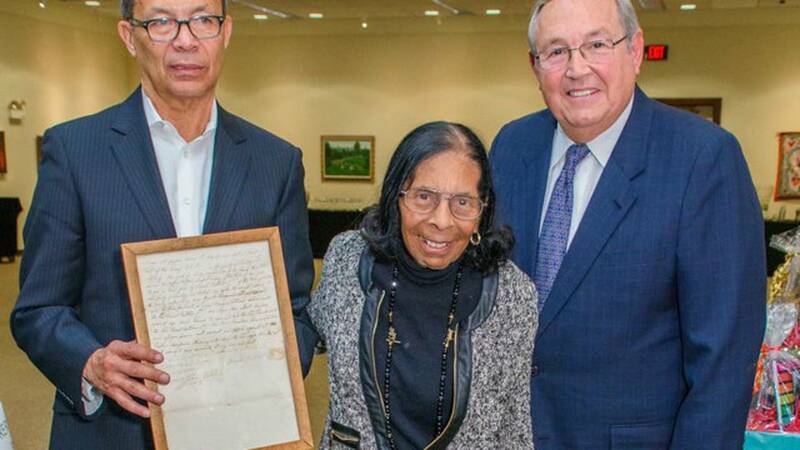 DETROIT - Dr. Roberta Hughes Wright, the widow of Museum of African American History founder Charles H. Wright, died Tuesday at the age of 96, according to a news release. Wright earned a Ph.D. in behavioral sciences in education from the University of Michigan. She also earned a Bachelor of Science, Master of Education and Juris Doctor degrees from Wayne State University. She was a member of the State Bar of Michigan and the Bar of the District of Columbia. She was a partner with the law firm of Waterman, Hooe, Curry and Hughes. Her practice focused on probate law in her later years. She also was appointed as an Oakland County public administrator for the Oakland County Probate Court. She also spent time working as a social worker and counselor and was the vice president of academic affairs at Shaw College and a lecturer at Lawrence Technological University. She also published 16 books. She was the widow of Charles H. Wright. She was also the widow of Wilbur B. Hughes. The couple had two children, Barbara K. Hughes Smith and Wilbur B. Hughes III. She had seven grandchildren. Visitation will be held Monday at the Charles H. Wright Museum of African American History, 315 E. Warren Avenue in Detroit from 10 a.m. until 3 p.m.
A second visititation will also be held Monday from 6 p.m. until 8 p.m. at the James H. Cole Home for Funerals, Northwest Chapel, 16100 Schaefer Highway. in Detroit. That service will feature ceremonies by the Alpha Kappa Alpha sorority and The Links Inc. from 6 p.m. until 7 p.m., followed by visitation with the family between 7 p.m. and 8 p.m.
A family hour will begin at 10 a.m. Tuesday at Brightmoor Christian Church, 40800 W. 13 Mile Road in Novi. Funeral services will follow at 11 a.m. Interment will take place at Detroit Memorial Park East. The news release noted the following: "Donations in Dr. Wright’s memory can be made to the Charles H. Wright Museum of African American History. Please note 'Roberta Hughes Wright Memorial Gift' on the check memo line."